I have been checking out some products from Indeed Labs for a little while especially with the launch of their Hydraluron which every blogger and their mamas were raving about. I didn’t bother trying it out because I don’t have dry and/or dehydrated skin but I was interested in their Retinol range and Instablur for my blemishes and making my skin feel smoother which has been ravaged by acne and left behind some really nasty blemishes. I read a few reviews online which were not very inspiring or positive so I kept my pennies because Indeed Lab skincare products are not particularly cheap. 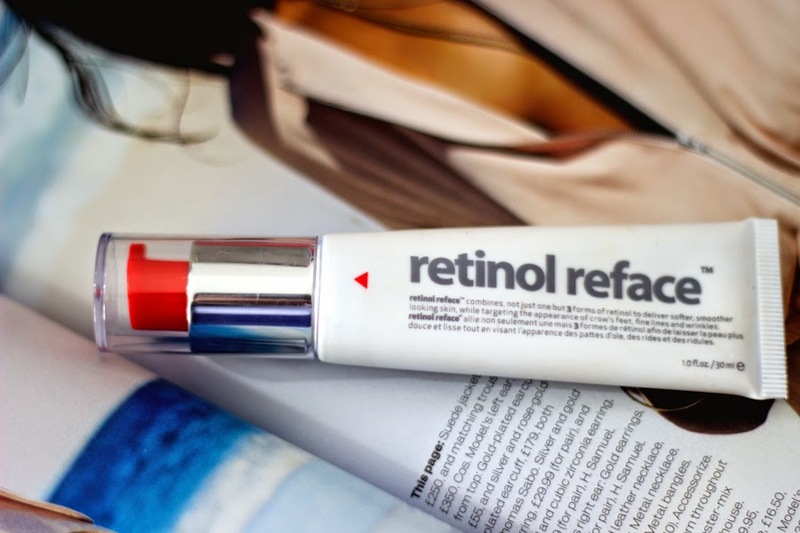 However, I was happy to see that the Retinol Reface was reduced back in Summer in Boots as part of their favourites offer so it was reduced from £19.99 to £13.32 and to top it off, there was a £5 off voucher in the Boots Magazine (they currently still have this offer on) so I only paid £8.32. It would have been a crime to ignore such a sumptuous offer and I liked it so much that I went ahead to pick up another tube as back up. Isn’t this the most unusual packaging ever? I really like it as it looks like it should be a tube but then the lid and pump looks like it belongs on a bottle..I don’t know but I really like it. It is very compact and you get 30 ml of product with it which goes a long way. I have travelled with this a few times and it has never spilled because the lid secures it really well and the pump dispenses just the right amount of product. I quite like that you can choose to display it standing or lying flat down. Also, it is important that the packaging of any Retinol product is opaque and well shielded from air otherwise it may lose its potency if left exposed. 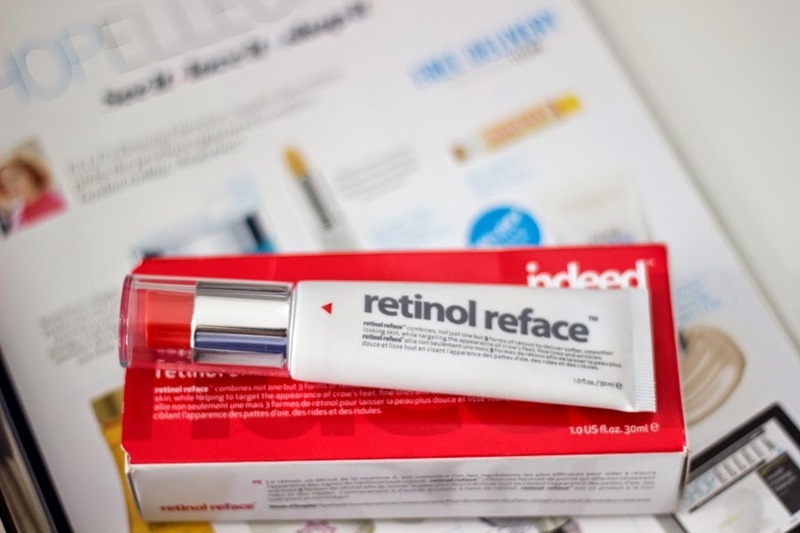 Indeed Lab claims that the Retinol Reface aims to reduce the appearance of fine lines, wrinkles and crow’s feet while helping with skin cell turnover to reveal fresher and smoother skin. Now I don’t have any wrinkles, fine lines or crow’s feet thankfully but I was interested in the cell turnover that is associated with Retinol and Vitamin A because I prefer to have smooth and softer fresh skin. Also, increased skin cell turn over means that the dead skin associated with blemishes can be removed and this will reduce their appearance. Retinol is derivative of Vitamin A and is considered to be one of the most effective ingredients for the above benefits so I was interested in trying this. 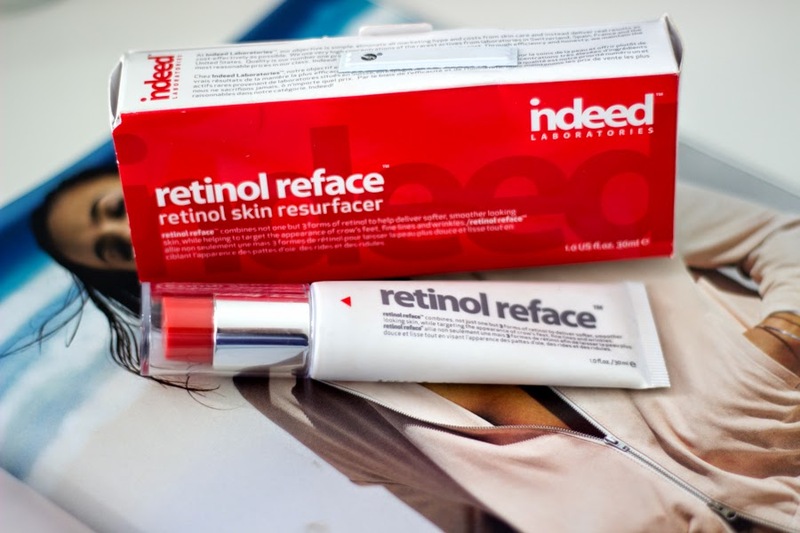 According to Indeed Labs, the Retinol Reface contains 3 derivatives of Retinol which include: Hydroxypinacolone Retinoate and Retinol (I could not find the third Retinol as claimed). All the Retinol derivatives are converted to Retinoic acid once it hits the skin and it can now go on to do its wonders. I have to say this is the softest and most hydrating cream I have ever used as it simply melts and skins in to my skin. The texture is somewhat silky and soft and it has a light yellow appearance which seems a bit odd but it applies clear on the skin. I use this straight after cleansing my face and I just massage it gently on my skin. It honestly makes my skin soft and hydrated straight away and you can feel this benefit almost immediately. Sometimes, my skin feels a little dry when I cleanse it but this totally helps restore the moisture and softness. It says use at night only but I use it sometime during the day followed by Sunscreen because Retinol may make your skin sensitive to the sun. It has no fragrance which makes it suitable for people who are sensitive to fragrance. It’s non-drying and non-irritating to my skin. However, I have read that a few people react badly to Retinol but I have only experienced positive vibes with this serum/moisturiser. As mentioned a few times now already, it retails for £19.99 so let’s just say £20 which does not seem like a massive amount but if you can get it cheaper or on sales, why not? I also spied that Boots Magazine currently has a £5 Voucher for all Indeed Lab Products so if you wanted to pick this up, this is a good time and I may well be picking up another back up soon. 2. 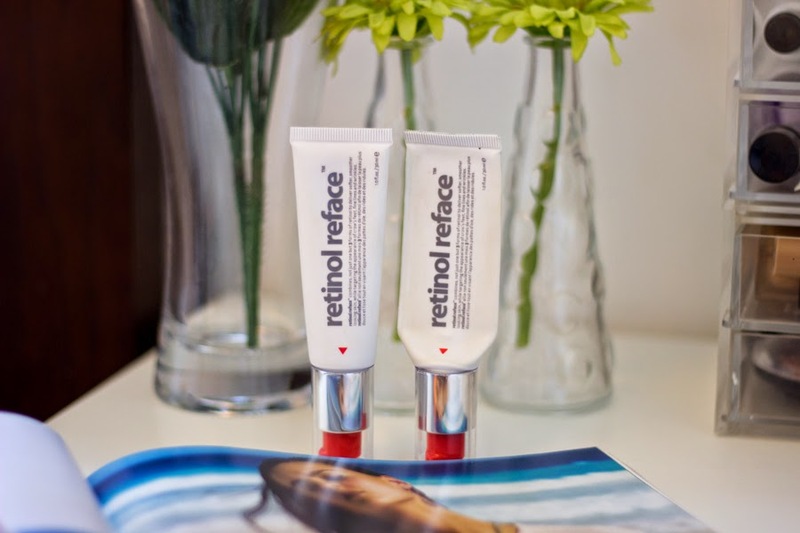 It also does not show the percentages of the Retinol it contains and I think it is important for consumers to know this for them to compare it with other products. 3. 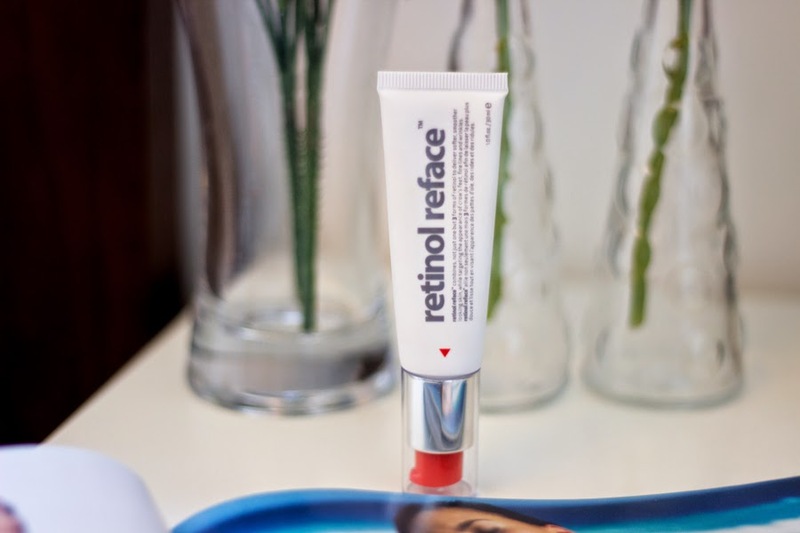 It is not the cheapest Retinol product out there although it is effective. With regards to my blemishes, I can see that they are slowly fading but I am not sure if it is down to this or down to my overall skincare routine so I can’t really say. 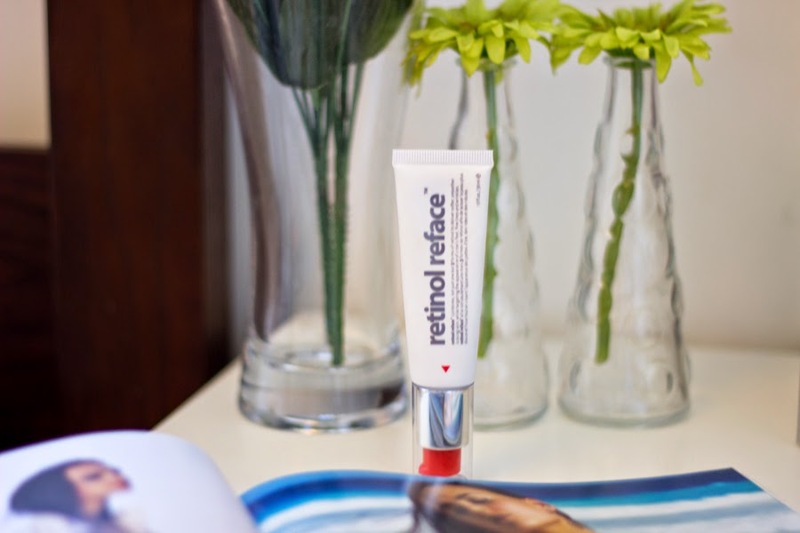 The most evident benefit with using the Retinol Reface is definitely how soft and smooth my face has been including feeling hydrated. 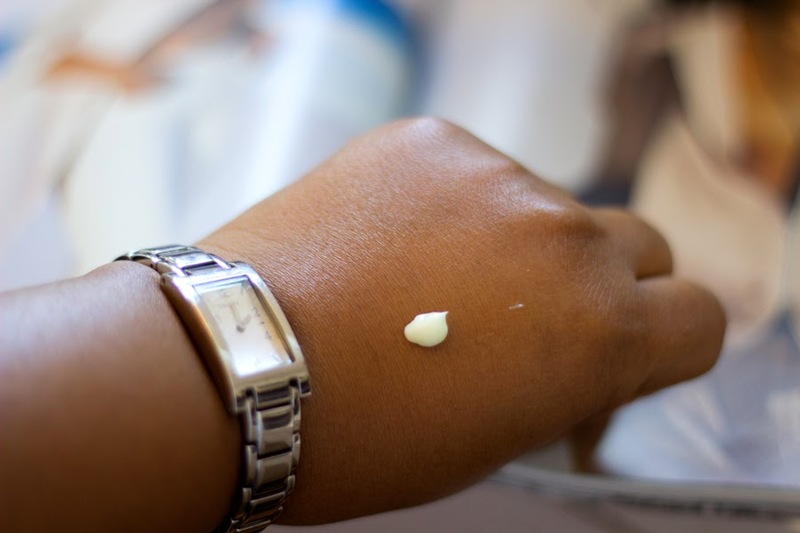 Sometimes, it’s hard to notice how smooth or soft your face is when you are consumed with fading dark blemishes/hyper pigmentation left behind from acne. 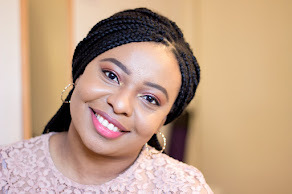 I have tried to shift my focus to the texture of my skin instead and I have noticed it appears really soft, smooth, hydrated and plump and that’s the major reason I went ahead and repurchased another tube while it was still on offer.